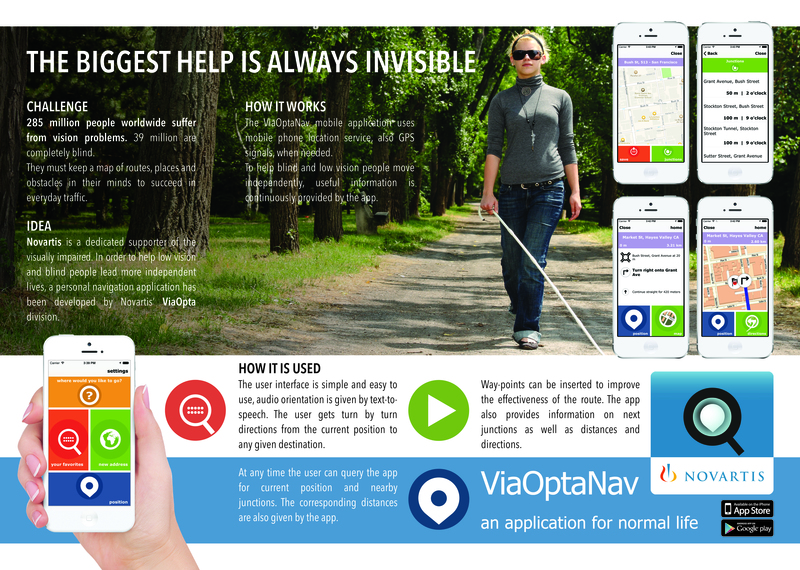 The ViaOpta Nav application takes advantage of mobile phone location service, also additional GPS signals when necessary. At any time the user can query the app for current position and junctions around. 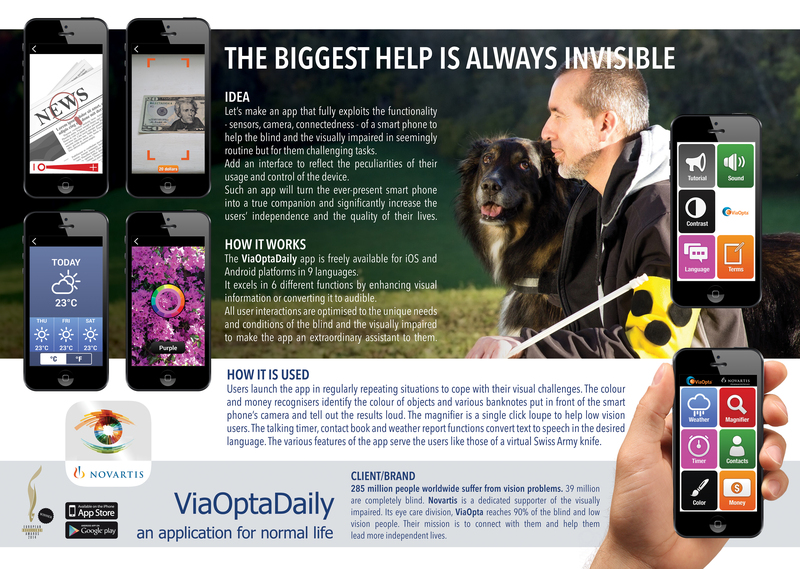 To help blind and low vision people move independently, the app continuously provides audio information to them. The users listen to turn by turn instructions to any given destination. Way-points and upcoming junctions are identified with corresponding distances to improve the effectiveness of the route. Studio Binär carried out extensive market research on behalf of the developer ARworks and managed the award competition entries for both Cannes Lions and Lions Health. The entries include various supporting materials ranging from case stories through long and short case films to presentation boards.